Thanksgiving is the American holiday of gratitude and appreciation. It’s a time to honor the abundance of harvest and enjoy traditional foods with family and friends. It’s a nod to lineages and settlers, to those that planted the bounty that is enjoyed on harvest tables around the country. Though the holiday is distinctly American, the essence of the day reflects values practiced around the globe: gratitude, family and gracious mealtimes. 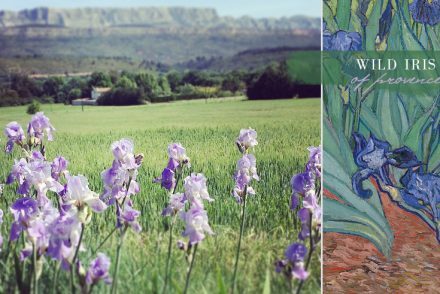 Here in Provence, these values are ancestral and instinctive. 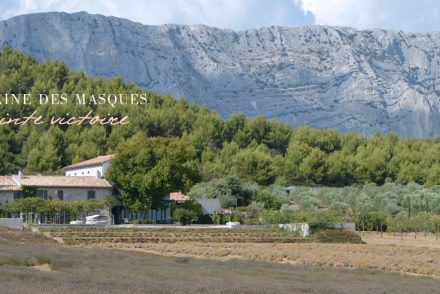 The slower pace of fall in Provence welcomes visitors from around the world and in many ways mirrors the spirit of the Thanksgiving holiday. The wines of the Southern Rhône Valley from Chateâuneuf-du-Pape and its neighbors Rasteau, Vacqueyras, Tavel and Gigondas are exceptionally food-friendly. These regions create wine blends (rather than single varietals), producing a merge of flavors and characteristics just right for the Thanksgiving meal which is served in one feast, rather than in courses. Red, white and rosè wines of high-quality and distinct heritage come from this part of France, and offer an exciting slate of aromatics and personalities. 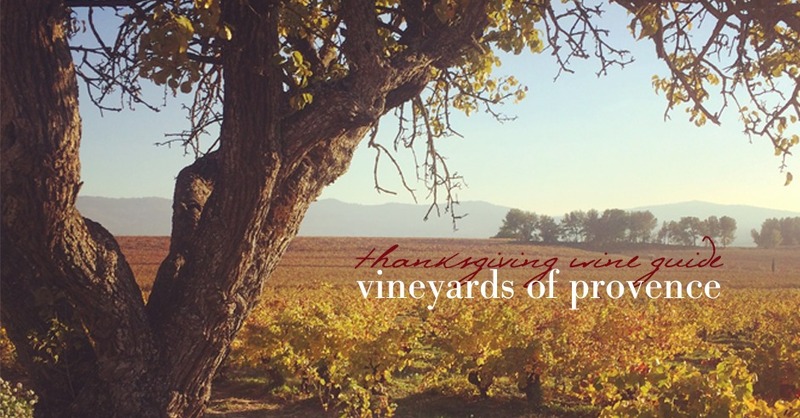 Here is our Luxe Provence Thanksgiving Wine Guide, with wine recommendations and pairing suggestions. François REY and her family have cultivated vines in Rasteau for generations at Domaine Saint Alimant which is located just north of Orange. In Rasteau, south-facing vineyards mean protection from the Mistral winds and diverse soils elicit richness. This wine is 50% Grenache and 50% Syrah with a blackfruit and earthy nose. Substantial tannins balanced by fruit make this a paring for lamb, cheese and Provençal cuisine; think Herbs de Provence seasonings on the Thanksgiving turkey or stuffing. MonTirius owners Christine and Eric SAUREL and their daughter Manon create all of their wines biodynamically and are exceptionally respectful of their vineyards, soil and environment. They also produce beautiful wines with a fresh vibrancy. A white wine from Vacqueyras is extraordinary (95% of production is red) and this White Grenache, Roussanne and Bourboulenc blend is very enticing. This wine ages well and compliments roasted vegetable and potato dishes. An excellent partner for roasted turkey or chicken. Domaine Grand Veneur comes from the Alain Jaume family, a landmark producer in the southern Rhône Valley. Expect high-quality and great taste from the Jaume portfolio. Inspired by food and family, their tasting room in Orange offers the opportunity to enjoy a Provençal meal paired with a selected scope of their wines. “Les Origines” is a medium-to-full -bodied wine that offers the slightest touch of sweetness along with the blackfruit and herbal tones. Grenache, Syrah and Mourvèdre come together in this wine and would pair very well with spiced turkey, a sausage stuffing or even a dark-chocolate dessert. Tavel wines come in one color: rosé. Deeper in tone than the paler Côtes de Provence wines, Tavel delivers more fullness, more fruit richness and the ability to age. 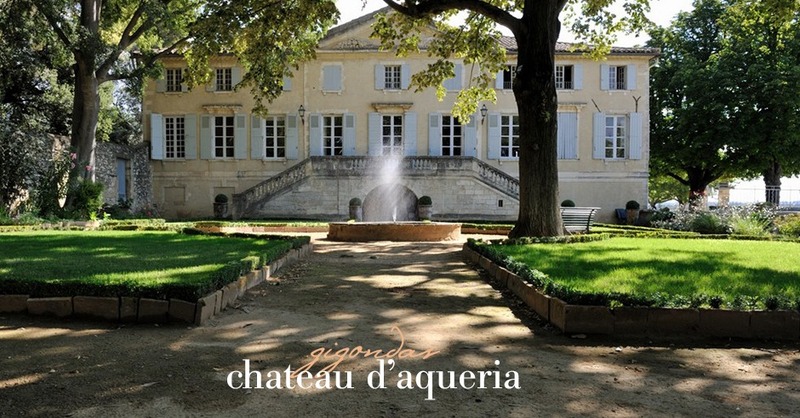 Château d’Aqueria is a beautiful estate situated around an ancient château, which is an unexpected treasure in the Rhône Valley. 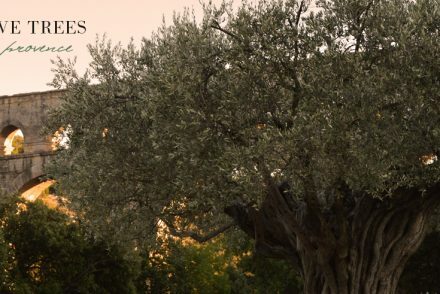 The Oivier family has guided the estate for three generations, and they produce high-quality wine of great acclaim. This bottle has white fruit characteristics and a long finish. The freshness of this wine makes it perfect to welcome holiday guests as the meal finishes off in the oven. It also has the depth to pair with the feast, substantial enough for nearly all harvest foods. Old vine Grenache and Syrah grown at an altitude of 400 meters gather freshness and complexity for this stunning wine. 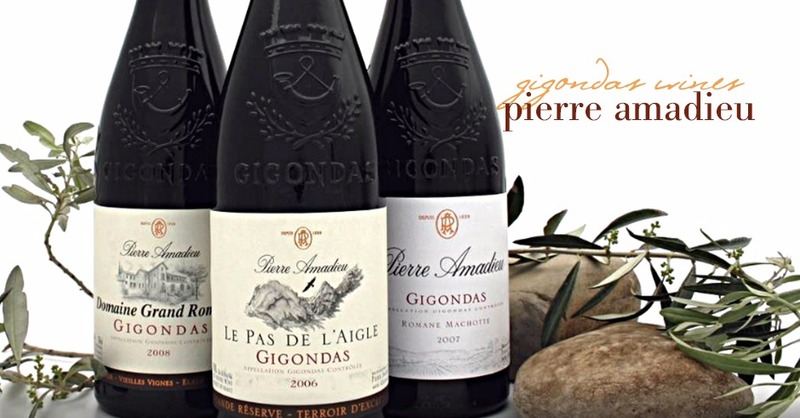 The Pierre Amandieu team hand-selects the grapes that go into this bottle to deliver exceptional quality. Complex aromatics of fig and blackberry show intensity, and pepper-spice flavors elicit a bit of herbal manliness. This is wine for a sparkling decanter, a chance to serve the best to your treasured Thanksgiving guests. This wine is drinking now, but can be held for a decade, so get a bottle for the meal and a bottle for the cellar. Rich sausage stuffing and mushroom side dishes will partner well with this wine, but the nature of the Grenache offers flexibility for the full feast. All of these wines are available for under $50 (some significantly under) and are available online for US delivery. 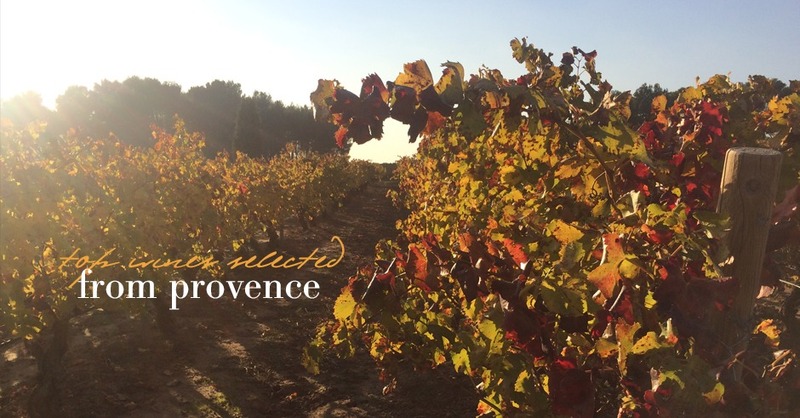 For visitors and expats in Provence, most offer cellar door tasting and sales. As well as being affordable and accessible, each wine is made by local families and exhibits exceptional quality. 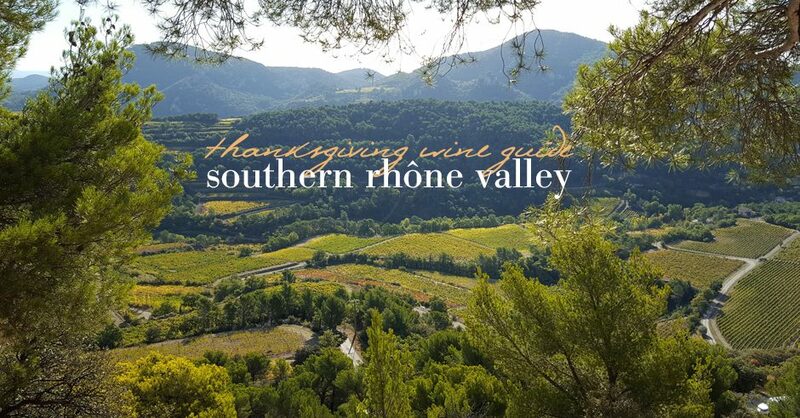 Luxe Provence has curated this list to illustrate the best for your family from southern Rhône winemaking families.